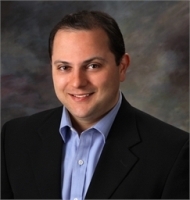 Dr. Gorodisky is a board-certified plastic surgeon. He is board-certified in plastic surgery by the American Osteopathic Board of Surgery. As a Westlake Village and Oxnard plastic surgeon, Dr. Gorodisky is known among his peers as a careful and broad thinking physician who is diligent is keeping up with academic advancements in his field. He is also known for the high standard of care and safety he provides for his patients. Dr. Gorodisky is much attuned to his patients\' needs, taking the time to listen to their concerns and requests before he makes his professional recommendations. His goal is to provide the best possible outcome for each patient using his many surgical skills, procedures, and treatments. The secret to his success as a plastic surgeon is based on the pride he takes in his work. Dr. Gorodisky has completed seven years of training by finishing residencies in both the fields of General Surgery and Plastic & Reconstructive Surgery. After residency, Dr. Gorodisky has completed extensive written, oral, and clinical certification testing and is Board Certified in Plastic & Reconstructive Surgery by the American Osteopathic Board of Surgery.